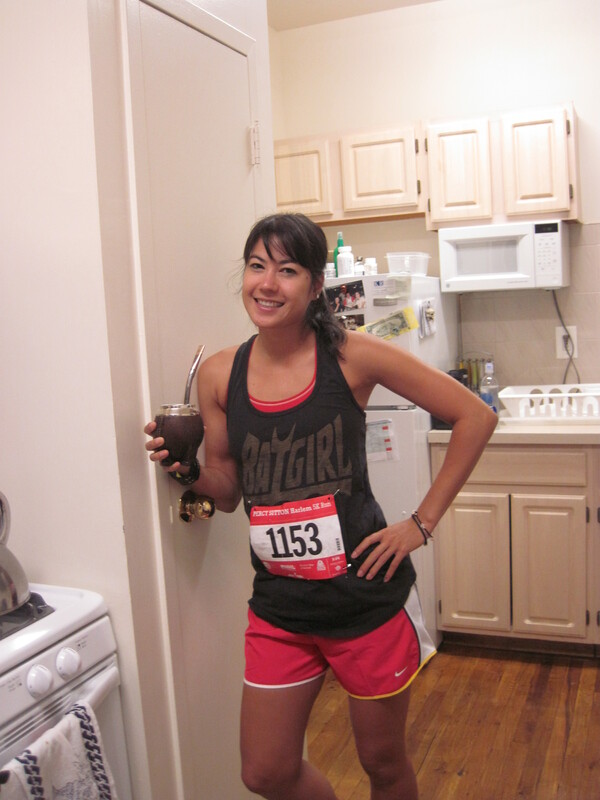 Harlem 5K Recap: Blackfoot’s Back! I am a lucky girl to be back to racing and back on track! I finished my first real race since my back injury, and in my own neighborhood to boot! Even though I posted the last post about my pre-race thoughts after I actually ran the race, it sure put things into perspective, and it’s all bright and shiny. Yay! After the proper whole wheat pasta and Papi-recipe tomato sauce for dinner the night before the race, I went to bed with the jitters. I kept having mini dreams about the race which kept waking me up (all of which I can’t remember the details now, unfortunately). I definitely woke up at 3am-ish feeling dehydrated despite the bottle of water I drank before bedtime and I convinced myself not to get up, that it wasn’t a real feeling, knowing that if I physically got out of bed, I would be up for the next three hours without sleeping. Why was I so nervous? Afterall, 5K is not super far for me anymore. But I really worried about my time and what would happen if I felt I didn’t ‘perform’ well. Would I be upset and blame it on the hard week? Would I cruise through the race with an unimpressive time but feeling like all smiles? I really had no idea what I would do when the time came. I finally went back to sleep only to wake up as I usually do before a lot of races, with the race blues. I didn’t feel like running. Why push yourself to race when training is just fine as far as health is concerned? Why risk feeling bad (or good)? And, as always, I ignored these thoughts and got my gear on. Fernando also got ready and we got out of the door at 7:30am. This Saturday will be my first real race since the injury and I have spent last week (and this week) attempting to manage my expectations.